Is to buy a dog before having a baby. 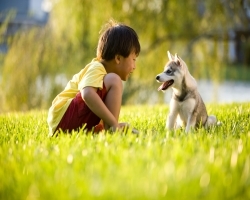 A new study suggests that the chance of developing a pet allergy is drastically reduced by contact with pets at an early age, in particular during a child’s first year of life. As for allergic grown ups, there are still those expensive hypoallergenic breeds to consider. This entry was posted on Wednesday, June 15th, 2011 at 5:05 PM. It is filed under Blog. You can follow any responses to this entry through the RSS 2.0 feed. Thank you for this kind of a great blog. Exactly where else could one get this sort of facts written in these kinds of an incite full way? I have a presentation that I am just now working on, and I had been looking for these kinds of information.